The men's scrub pant from Maevn is all about staying organized. It features a zipper fly with button closure to add convenience, half elastic waistband for an adjustable fit, a natural rise and tapered leg for a contemporary feel and side panels for easy movement. 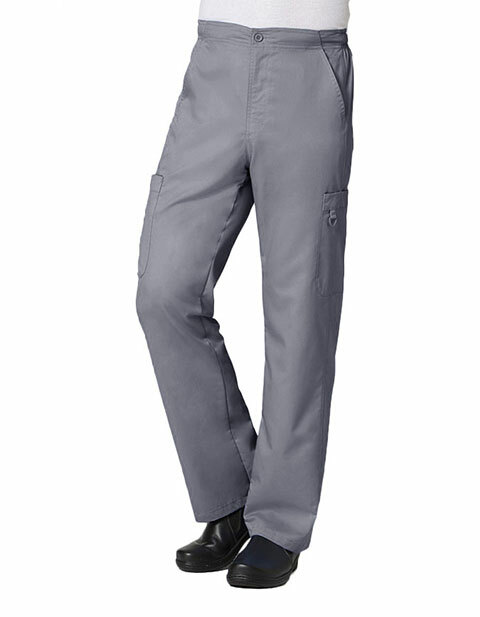 Featuring seven pockets; two front side entry slip pockets, two cargo patch pockets, one mesh pocket with twill tape on the right, two back patch pockets clearly tell how this pant is all about storage for your medical essentials. Lastly, the half elastic waistband for an adjustable fit completes the look.